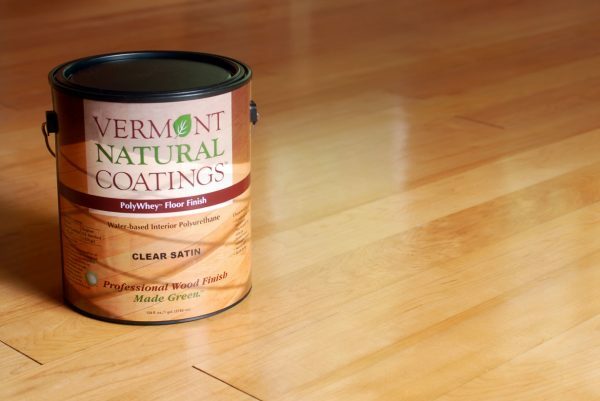 Superior durability, easy application and soap & water cleanup make Vermont Natural Coatings PolyWhey Floor Finish the ideal choice for wood floors. 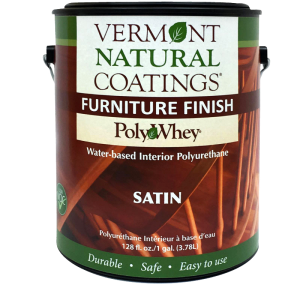 Our finish has established the highest performance and environmental standards; delivering professional quality with unprecedented performance with safe, natural ingredients. Large volume customers please contact us for a customized finish. 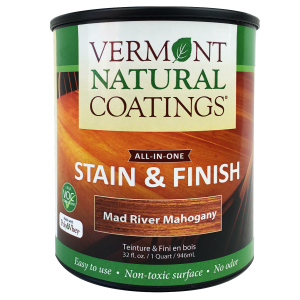 If applying to previously finished wood, sand surface to remove old coatings before applying new finish. 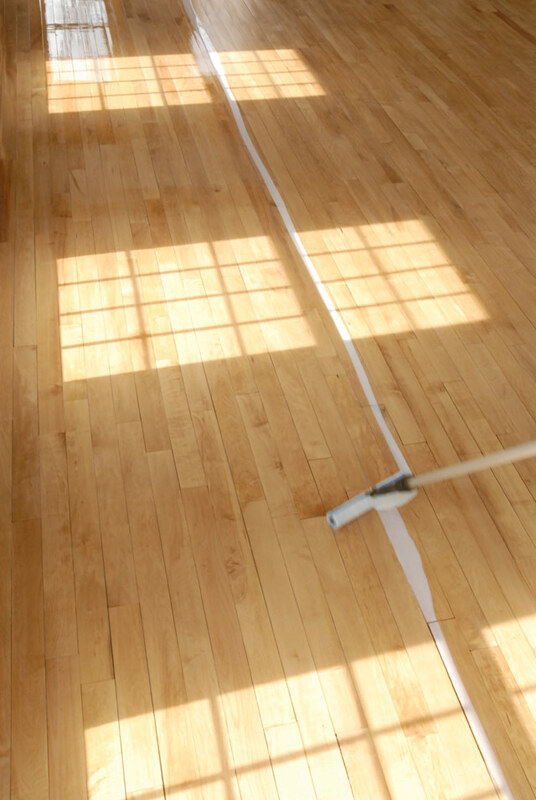 If sanding the entire surface is not desired, sand areas of distress that can cause flaking. This allows blending of edges.Vacuum dust and wipe with a water-dampened cloth. 1. Stir well prior to use. Apply full strength with brush, floor pad or t-bar. Thinning may result in reduced performance. 2. 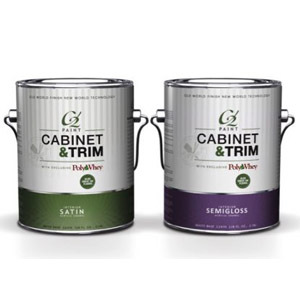 Test the finish on a sample piece of wood to confirm compatibility and desired appearance. 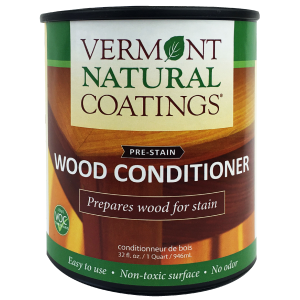 For best results apply in temps between 65F-80F with a relative humidity of 40%-60%. 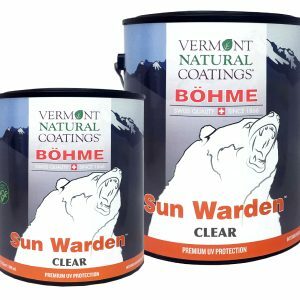 Avoid applying in direct sunlight Three coats are recommended for optimum product performance. 3. 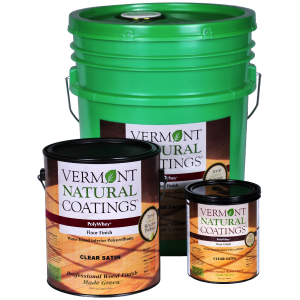 Apply thin, even coats taking care to prevent the finish from forming puddles. Overlap strokes and always maintain a wet edge. Finish will dry in two hours under normal conditions. High humidity or low temperature may lengthen dry time. 4. Sand lightly after first coat with very fine sandpaper (220 grit or finer). 5. 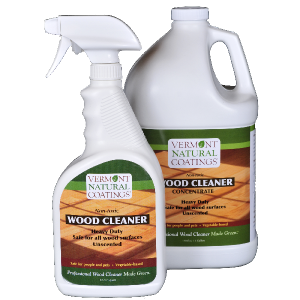 Vacuum dust and wipe with a water-dampened cloth and Vermont Natural Coatings Wood Cleaner. Never use steel wool or a tack cloth. 7. After second coat sand only if 24 hours have passed since the previous coat was applied. 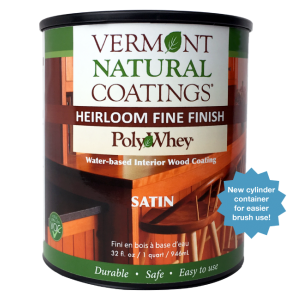 Sanding, vacuuming and cleaning between coats will aid adhesion and create a smoother surface.